Comrade Kolawole Olumoh, Chairman Trade Union Congress (TUC), Kwara chapter, has told state governors to cut down their expenses on political appointees and others. Olumoh, who gave the charge in an interview with the News Agency of Nigeria, (NAN) in llorin on Monday, said this would enable the governors save funds to pay the N30, 000 minimum wage. According to him, some governors appointed many political office holders with jumbo pay that do not justify their functions, at the expense of the core civil servants. He noted that complaints by the governors over inadequate revenue would not arise if they cut their expenses on political appointees that could aid rapid infrastructural development in their states. Comrade Olumoh said most state governors appointed special assistants or advisers that were not relevant to governance in their various states. â€œIt is surprising that the governors could renege on their initial agreement at the tripartite meeting where it was agreed that they would pay the N30, 000 minimum wage,â€ he said. He appealed to the federal government to put in place machinery that would give workers value, for the new minimum wage to avoid inflation in the prices of good and foodstuffs. 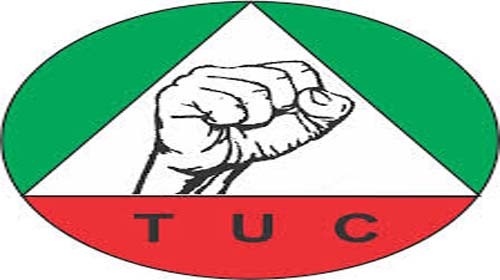 The TUC Chairman expressed the hope that President Muhammadu Buhari would soon sign the White Paper report on the new minimum wage for passage to the National Assembly. According to him, this would hasten its full implementation. He, however, urged Nigerian workers to continue to exercise patience, assuring them that everything would be done to ensure their interest was properly taken care of.